Seacoast Tree Care, LLC is seeking an Operations Manager. At Seacoast Tree Care we're dedicating to restoring, maintaining and conserving diverse landscapes throughout New Hampshire, Maine and Massachusetts. Applicants must be passionate about tree care, not just interested in a job. Applicant must have high personal standards for themselves and the company they work for and be comfortable working with the Seacoast Tree Care team to achieve the company’s goals. 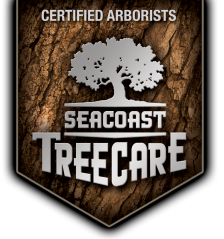 For more about Seacoast Tree Care, watch this: https://vimeo.com/155442633. Coordinates crew makeup, equipment, tools and supplies in such a way as to complete all jobs efficiently, correctly and profitably. Keeps representative informed of all changes in status of crew members or equipment. Establishes and monitors systems to ensure proper maintenance and cleanliness of all equipment and facilities. Responsible for the prompt dispatch of crews and other labor-related cost savings. Knows all company safety regulations, teaches them to all crewmembers and insists on 100% compliance. Instructs employees how to operate all equipment and use materials safely. Knows basic first aid procedures and ensures that first aid equipment is on the job at all times. Fills out accident reports promptly and completely when needed and investigates cause(s) of accidents. Is responsible for hiring, firing, promotions and pay raises of employees under his/her supervision. Determines workable hours, approves all time, chargeable and non-chargeable, on time sheets. Responsible to maintain good morale and handles basic grievances. Studies and determines the most efficient way to handle each job, taking into account such factors as location, season, crew availability, equipment, materials, etc. Controls productivity of each crew member and utilizes each tool and piece of equipment to its fullest. Keeps non-chargeable hours and overtime to a minimum. Assure there are sufficient, appropriate materials and equipment to do the job. Is accountable for all tools, equipment, safety devices, materials and supplies. Stores equipment and material safely each night to avoid loss by theft, vandalism, etc. Knows operating condition of all equipment, recommends and schedules replacement or maintenance in time to avoid a breakdown. Knows proper and complete operation of each piece of equipment, sees that the crew uses the right equipment for each job. Conducts himself and his crews properly in order to make a good impression on clients and prospective clients, the general public and others who observe the crews on the job or traveling to and from the job site. This includes personal and equipment cleanliness, not littering, controlling profanity and being courteous to the public. Possesses pride of workmanship and instills it in his/her crew. Speaks positively about the work, the client and the company. All problems shall be discussed with management in confidence. Operations manager will be at shop 15 minutes before crews ready to work fully uniformed. Operations manager will be help create shop sops, phc sops, and GTC sops. Operations manager will work with crew leaders and shop mechanic to keep equipment well maintained and running. Operations manager will enforce disciplinary policies as needed. Operations manager will also be required to sell services. Operations manager will be in charge of company while owner is away. Must check in all crews at end of day. Able to perform a supervisory role. Ability to work with sales representative(s), management and work crews to maintain a cost-efficient, professional operation. Compensation based on qualifications and experience. Seacoast Tree Care offers competitive wages, medical, dental, and life insurance benefits, as well as 401(k). Pre-employment Drug Screen and criminal background check required. Seacoast Tree Care is an Equal Opportunity Employer. Please email resume or fill out our complete application by visiting seacoasttreecare.com.